Earnings from Wonderchef can be redeemed as vouchers or in Bank account. Stunning metallic color with soft touch handles. Meta Tuﬀ non-stick coating - ﬁnest quality, healthy for daily use, PFOA - free. Pure grade virgin aluminium for even heat distribuon. Glass-lid with steam vent to avoid spillage. Gas, Induction & Stove-top friendly. Reliable Wonderchef warranty, T&C Apply Makes everyday cooking easier! Buy Home & Kitchen Products From WonderChef & Get Amazing Discount. This Offer Is Only Valid For PayPal Customers. Simply Shop and Avail The Benefit. No Coupon Code Needed. Offer Ends Soon. Rotary function ensures professional grade waffles with even cooking on both sides & uniform thickness for great taste. Also makes Waffled Egg Sandwich, Waffled Cheese Burger, Waffled French Toast, Waffled Pizza, Waffled S'mores & more. Non-stick coating on the cooking plate ensures effortless release and easy cleanup. Steady base offers easy operation and stable functioning. Reliable Wonderchef warranty. Dosas, stuffed parathas, chillas, pancakes, crepes, utttapams,omlette, wraps, frankies and sandwiches...Make a variety of dishes – Dosas, stuffed parathas, chillas, pancakes, crepes, utttapams, omlette, wraps,frankies and sandwiches with this multi-utility Dosa Maker. Portable device – Cook dishes at your comfort, in the kitchen or near the dining table. Adjustable temperature control allows to choose different levels of heat settings. The 30cm sized cooking plate makes bigger sized dosas. Non-stick coating helps make low-oil, delicious and crispy dosas. Grease with minimum oil and pre-heat for 3 minutes for best results. Easy to clean and maintain. Get piping hot food in 15 mins. Food Grade Material. Leak resistant. Compact size. Inbuilt cord winder. Metal plates for quick heating. Premium Quality Products. Free Shipping. 100% Secure. Warranty: 1 Year. Products Like Turbo Dual Speed Food Processor, Granite 24Cm Dosa Tawa, Nutri-Blend Pro Copper, Ferro Cast-Iron Oval Casserole With Lid, Nutri-Blend Champagne, Smart Prep 4Pc Tools Set and more...Pay through PayPal and Get Rs.500 On Your First Transaction. Now a larger jar for existing Nutri-Blend users ideal for blending & mixing in large quantity. Mixing jar is a new introduction to Nutri-blend along with the original two jars. Mixing jar to be used with wet blending blade (4 teeth) to make super blends, mixes & purees. Get your daily dose of shakes & smoothies from all types of fruits & vegetables. Does not come with a separate base and blade.To be used with existing Nutri blend base. Solingen is called the "City of Steel". It is renowned for the manufacturing of finest swords, knives, scissors and razors. Best of German knives are produced in Solingen - only these are allowed to use this Trademark for quality. Wonderchef Solingen knives and peelers are precision-cratted for perfect cutting and chopping. Made with finest quality stainless steel with HRC 52 hardness, and set in balanced grip, they give you years of reliable service. The knives are assembled with modern designed, ergonomical handles out of polypropylene. Beautiful matte look adds a touch of sophistication to your kitchen. Stainless steel peeler, highly corrosion resistant and rust free. Smooth sharp edged blades for peeling & shredding. Ergonomically designed handles for best grip. Ideal for vegetables, potatoes, cucumber, apples, carrot, beetroot etc. Dishwasher friendly. Premium Quality. Free Shipping. 100% Secure. Created by Mr. Ravi Saxena and celebrity chef, Sanjeev Kapoor, WonderChef is a brand of exclusive cookware and kitchen appliances. Here you get stylish casseroles, designer non-stick pans, colourful cookers, super tandoors, and everything else you need in a kitchen or at the dinner table, albeit in bright colours, designs and with an innovative touch. Whereas on Zingoy, you get all the latest WonderChef deals and coupons along with loads of cashback over and above the usual discounts. 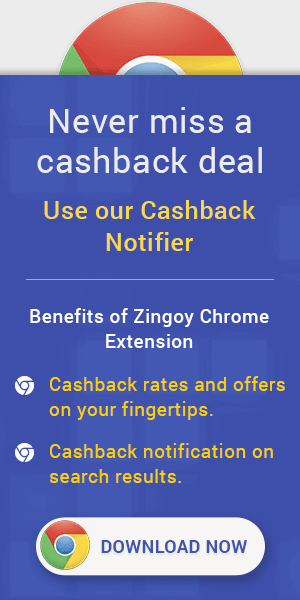 So, shop via Zingoy and encourage others to shop via Zingoy, because Zingoy also gives you cashback on your friends’ shopping done via your Zingoy links, which you can make using the ‘Get Link’ button on top of this page.